CHRIST THE CENTRE OF THE BIBLE. Revelation Section 3. 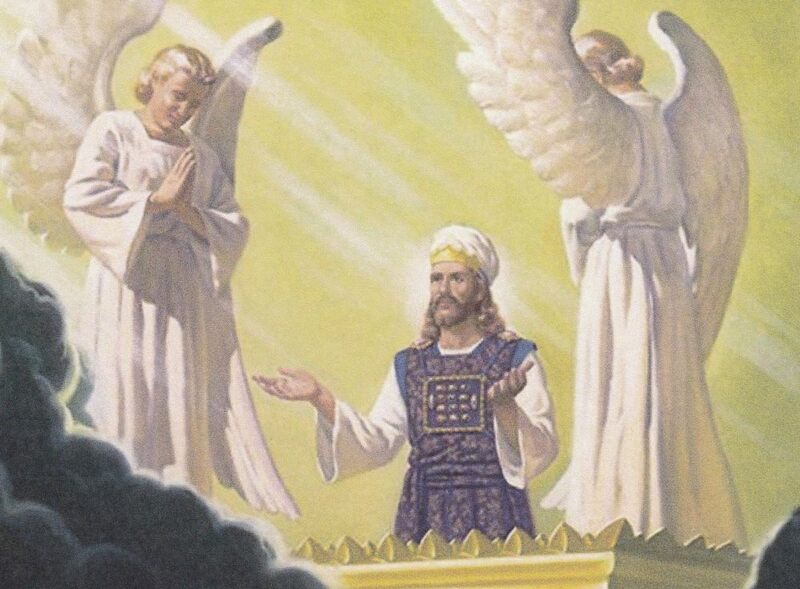 In this section we see the Lord operating as the High Priest on the day of Atonement. He is the angelic High Priest standing before the symbolic Golden Altar in heaven. Having shed His own blood He now throws fire and blood to the ground, as it were in judgments upon the rebellious. The blowing of trumpets is a priestly activity and declare that God`s judgments executed by Christ are about to come forth upon the nations of the world. The first four trumpet calls are during the early part of the tribulation and affect a third of the earth, sea, fresh water and sun, moon and stars. The last three trumpets take place from the middle of the tribulation and are so terrible that they are described as woes - demonic activity of torment and plagues. When the seventh trumpet sounds then the mystery of God is finished. It heralds a great earthquake, Armageddon and the Lord`s return in power and great glory. Amid the horrific judgments Christ the mediator also brings atonement for His land and His people. This is what we see depicted by the mighty angel, (the Lord). Then we see the two men witnessing of God, and the people of Israel protected from the enemies for a time. Finally as Satan and his fallen angels are cast to the earth they bring together man`s final beastly Global Government. The Global leader, (Political power) and the False Prophet, (Religious and Economic power) take control of the world`s economy and persecute those who do not bow down. Previous entry CHRIST THE CENTRE OF THE BIBLE. Revelation Section 2. Next entry CHRIST THE CENTRE OF THE BIBLE. Revelation Section 4.